Remember the debris above in your drawing? The points visibility is controlled by system variable BLIPMODE. If I’m not mistaken, the last time we have it on by default is in R13. I never see it again since then. It turns out that some AutoLISP program does turn it on. 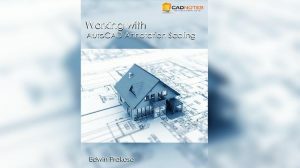 That become a problem in AutoCAD 2012, because the system variable is not there any more. They are still there, but turned off by UNDEFINE command. So if you ever need to use it, you can redefine it first before using it. 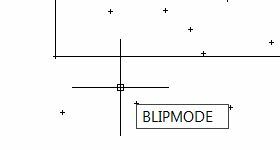 See more alternatives to use BLIPMODE in CAD Forum here. Credit to Vlamidir Michl.